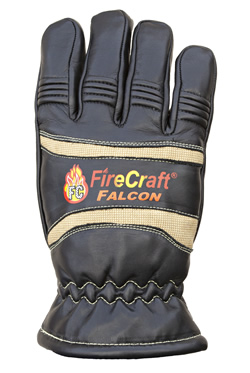 FIRECRAFT - MOOSE SAFETY SUPPLY, INC.
​NFPA certified structural firefighting gloves will give you longer wear, protection, fit and the superior dexterity you need for the toughest, most dangerous jobs. 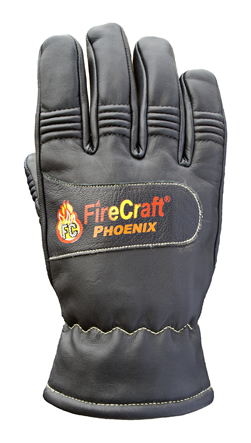 All FireCraft® Gloves come with a Lifetime Warranty on Workmanship and Materials. ​FireCraft combined the toughest (and softest) leather-kangaroo-with TenCate's new Kombat™Flex fabric containing PBI® to produce a truly unique structural fire glove. 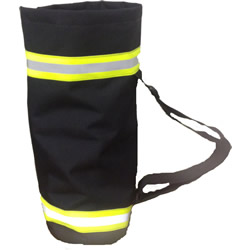 The most dexterous and long lasting fire glove you can buy today. 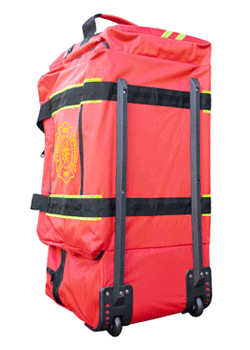 Exceptional fit - No bunching of material in the palm provides superior dexterity and reduced hand fatigue. Can change radio channels while wearing gloves! Better Fit By Design! Try one on. We think you’ll see the difference! 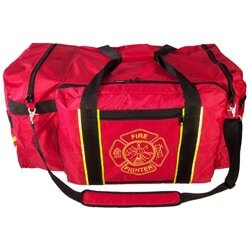 A top of the line, heavy duty, wheeled turnout bag with room for boots, pants, coat, gloves, helmet with face shield and accessories. Size: 32" x 15" x 17.5"